DS 3500-ER - Built for performance! 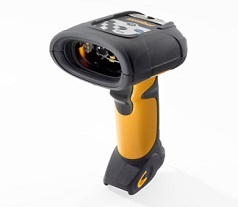 The DS3500-ER Series allows you to scan different types of bar codes across a wide range of distances — from near contact to as far as 30 feet away! Workers can also hold the trigger down to continuously scan items. The DS3500-ER Series can read bar codes in darkness or in bright sunlight and is suited for both indoor and outdoor usage. Best suited for: Perfect for Manufacturing and Warehousing!